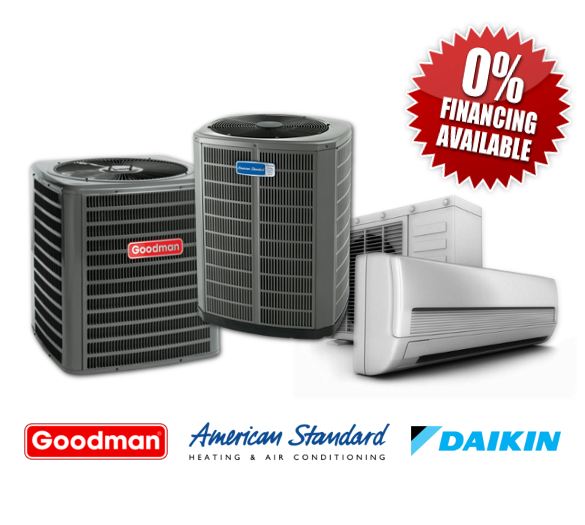 Martech repairs all brands and models of air conditioning, heat pump units, air handlers, gas furnace and all components of a central home cooling/heating system. Unlike many other companies in the area, our customer is always first. We understand how unbearable the temperature can start to feel in your house when your system isn’t operating properly. We also understand how valuable your time is. We provide reliable, same day air conditioning repair service, without overtime fees, so that you can return to enjoying the comfort of your home as soon as possible. Home owners should not wait until the system brakes down, is better to call Martech before the summer begins to perform a preventive maintenance to help significantly the reduce for expensive repairs, also improves indoor air quality, and lowers your energy costs. Remember that the 60% of your energy bill its generated by the cooling/heating system!. Martech recommends one visit in the spring and another visit in the fall that will help keep your AC system running smoothly and efficiency. If you air conditioning system is too old and you have had repairs many times. You may also have an A/C system that is cost-prohibitive. In this case a new system would quickly pay for itself, due to energy savings and efficiency gains. Contact us, we can help you with the installation of a new system. Free home estimates, on site, and anywhere in Dallas Fort-Worth. Same day installation when possible. 10 year warranty on all new systems. 2 year installation labor warranty. A/C system analysis for right load/capacity. Disposal and removal of old A/C unit at no extra cost. Martech installers are certified by The State of Texas. Financing and specials available make Martech an affordable option. Martech Conditioning offers replacement options for any budget. If you have a new room in your home that you’d love to be climate-controlled, but without the installation of additional ductwork, then a mini-split air conditioning system from Martech HVAC might just be the perfect solution. Or maybe a part of your house that never gets to cool or warm properly or where ductwork is impossible or impractical, a mini-split system is the ideal choice. Mini-split systems blend in with any room, and a wireless remote makes it easy to stay in your ideal comfort zone. If you’re looking for a quiet, attractive and energy-efficient air conditioner. Contact us today!